Right now I am using Youtube for traffic as i'm focused on this one. I have failed to achieve 1000 this month with only FR Leads. So what I will do next is to search for other niches and will try to achieve 1k per month. Do you use videos or comments ? Just using videos with MVB Pro. What type of niche you promote. I'm currently promoting BH Niches. Nice journey bro, i'd like to get into targeting traffic. if you want to share some knowledge i could help you build an empire on non targeted traffic. Hit me up if its something you'd like. (2016-05-15, 05:38 AM)#Realtalk. 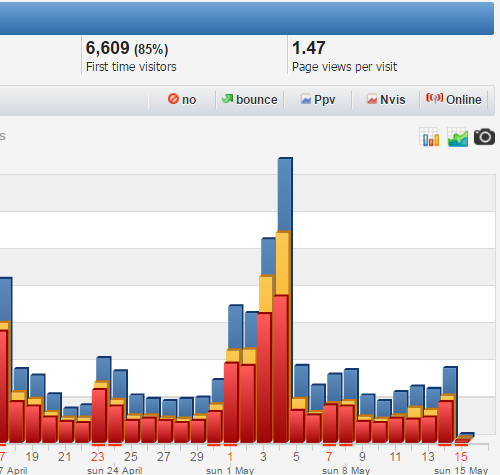 Wrote: Nice journey bro, i'd like to get into targeting traffic. if you want to share some knowledge i could help you build an empire on non targeted traffic.